Every 40 seconds someone in the U.S. has a heart attack. In fact, there are almost 800,000 heart attacks in our country each and every year. You could be next — especially if you’re at high risk for heart disease. But how do you know what your risk level is so that you can take steps to prevent a future heart attack? We’re going to go over the answer right here, including one surprising factor that can have a big impact. OK, this is going to sound strange, but how tall you are could determine whether or not you end up with heart disease and suffer a heart attack. Your height is directly related to your risk of cardiovascular disease. In fact, research in The New England Journal of Medicine and performed at the University of Leicester looked at data on almost 200,000 people with and without heart disease to examine whether 180 genetic variants that affect height are also associated with the disease. And they found that for every change in height of 2.5 inches, the risk of heart disease changed on average by 13.5 percent. For example, compared to a person who is 5 feet, 6 inches tall, a 5-foot-tall person on average has a 32 percent higher risk of heart disease because of their shorter stature. In other words, the shorter you are, the higher your risk level. Your height definitely isn’t the only risk factor you should be aware of. Having a family member with heart disease significantly raises your risk of having it as well. getting older is another factor that raises your risk — especially once you pass the age of 65. Women have another issue to consider. Menopause adds to the risk of heart disease thanks to falling estrogen levels. Tobacco use also increases your chance of heart disease and the heart attacks that come with it. Smoking damages the lining of your arteries and increases the fatty buildup that narrows them, raising your blood pressure. If you haven’t heard of metabolic syndrome, it’s a cluster of signs (high blood pressure, high blood sugar, unhealthy cholesterol levels and abdominal fat) that increase your risk of heart disease, obesity and diabetes. It makes the cholesterol in your blood more “sticky” so that clots form in your blood vessels. Being overweight not only increases your risk of heart disease, it significantly raises your chances of suffering a fatal heart attack. High levels of the stress hormone cortisol have been linked to heart disease due to an increase in your blood pressure, bad cholesterol and triglycerides. If you live with migraines, you’re at even higher risk for both heart disease and stroke — especially if you have the kind of migraines that come with auras. Your risk is also increased if you’re a woman who had early onset of your period or menopause. This would be considered before 12 years old for your period starting or entering menopause before the age of 47. Another factor that increases your chances of ending up with cardiovascular issues is gum disease. That’s because bacteria in your gums raises the levels of C-reactive protein in your body — a marker doctors look for when analyzing your risk of heart attack. After looking at that list, you should have a better idea of where you fall on the risk spectrum. If you are at increased risk, the time to work to prevent future heart disease and heart attacks is now. • Dietary changes — The Mayo Clinic recommends embracing either a Mediterranean diet, rich in fruits, veggies, fish, nuts and good oils such as extra-virgin olive oil or the DASH (Dietary Approaches to Stop Hypertension) eating plan. The DASH diet focuses on high fiber and low to moderate fat with an emphasis on whole grains, fruits, vegetables and lean meats. • Stress reduction — Meditation, breathing exercises and regular physical activity can help you manage the stress that could be increasing your risk of cardiovascular disease. • Exercise — 30 minutes of moderate physical activity (for example, walking at a brisk pace) at least five days a week is necessary to heart disease prevention. And you can gain more benefits by increasing both the amount of time you exercise and the level of your activity. • Weight maintenance — Maintaining a healthy weight can lower your risk of metabolic syndrome and heart disease. • Supplements — One of the healthiest things you can do for your heart is to take CoQ10. In fact, more than 300 studies have demonstrated the cardiovascular health benefits of CoQ10, including its ability to help your heart cells and maintain normal blood pressure. One study published in the medical journal Cardiovascular Drugs and Therapy demonstrated that 91 percent of patients with blood flow problems experienced improvement within 30 days of starting CoQ10 supplementation. Heart disease is a killer, but you don’t have to be a victim. 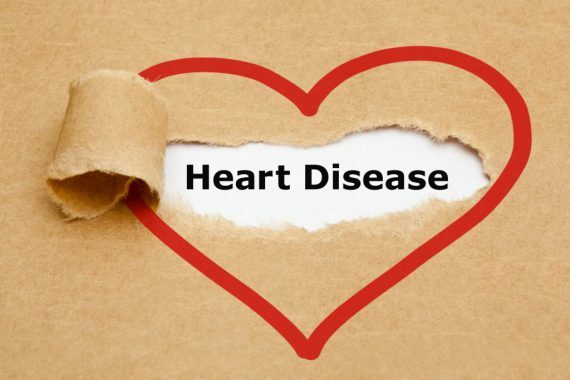 Take the preventative steps above to avoid the disease and the heart attacks it causes.